Pharma Nord have developed a unique scientifically supported immune-boosting beta glucan formulation. Firstly, in addition to beta 1,3/1,6 glucans, Bio-Glucan Plus™ also includes selenium (SelenoPrecise®) and vitamin D3, two nutrients that play an important role in supporting immune function. Secondly, a superior source of beta 1,3/1,6 glucans with a dry content matter of 85% has been chosen to enhance bio-availability. With increasing resistance to antibiotics and the emergence of vaccine-resistant organisms the need to activate and support the innate immune system has become increasingly recognised. The new formulation Bio-Glucan Plus™ contains Yestimun, in our opinion the superior source of beta 1,3/1,6 glucans, with a dry matter content >85% and alpha-D-mannan content of<2%. Like all Pharma Nord products, Bio-Glucan Plus™ is manufactured to pharmaceutical standards. Bio-Glucan Plus™ contains beta 1,3/1,6 glucans, naturally occurring complex sugars obtained from yeasts and fungi. 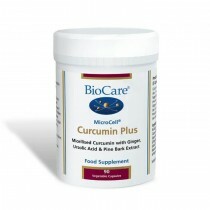 Supplementation with Bio-Glucan Plus™ helps to maintain a healthy immune system. The type of glucan used in Bio-Glucan Plus™ should not be confused with the type of glucans obtained from cereals such as oats and wheat. They are beta 1,3/1,4 glucans, which have a different molecular structure and different actions within the body. What does Bio-Glucan Plus™ do? The beta 1,3/1,6 glucans contained in Bio-Glucan Plus™ act as a primer of the innate immune system. As the name indicates, the innate immune system is inborn and serves as the body's first line of defence against infectious organisms. This is in contrast to acquired immunity, which involves the development of antibodies against foreign organisms, as the second line of defence. Beta 1,3/1,6 glucans provide a stimulus to active neutrophils, macrophages and natural killer (NK) cells of the innate immune system against infectious organisms.In addition, Vitamin D and Selenium are two nutrients that are known to play an important role in supporting immune function. Bio-Glucan Plus™ may particularly benefit individuals whose immune system has been weakened through lifestyle, stress or ageing. Beta 1,3/1,6 glucans help maintain the body's immune defence against infection by Candida species. Each Bio-Glucan Plus™ tablet contains 125mg of Yestimun® from brewer's yeast. Yestimun® is beta glucan in its pure form, which they extract from raw materials in accordance with the German purity law. Through a gentle process, brewers’ yeast is purified to produce Yestimun® in such a way that the beta glucan’s natural structure is maintained. This is how they enable the intestinal receptors to recognise this structure and trigger the immune defence system. How much Bio-Glucan Plus™ should you take? The recommended dose is 2-4 tablets of Bio-Glucan Plus™ per day..
Are there adverse effects from taking Bio-Glucan Plus™? No significant adverse effects have been reported from clinical trial studies using beta 1,3/1,6 glucans.